I first fell in love with Engino at BlogOn Conference. 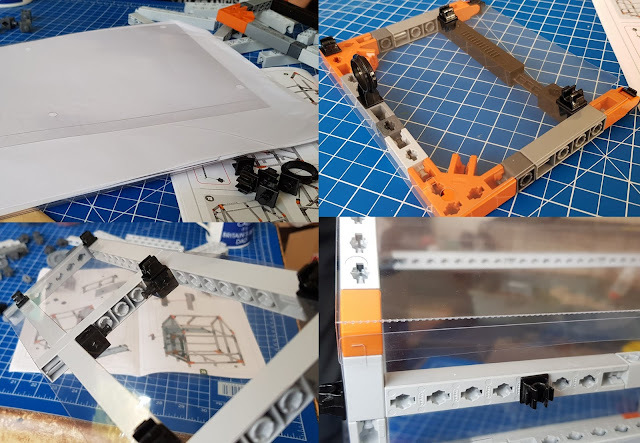 Brand new to the UK, this construction system was developed by Costas Sisamos, a Teacher from Cyprus. 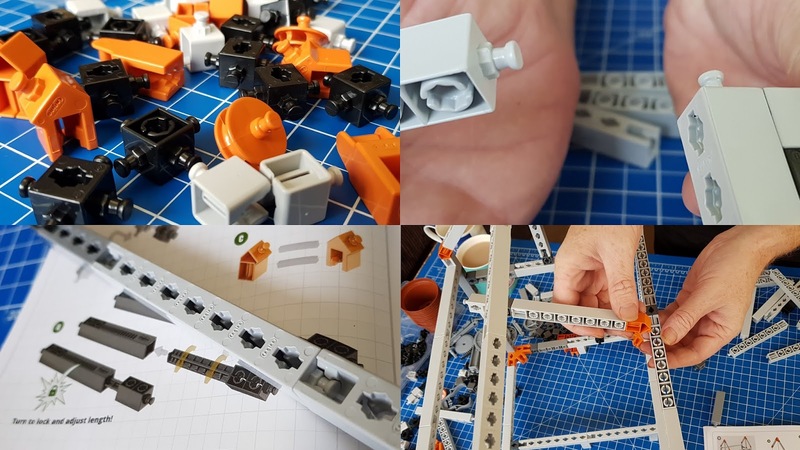 He has degrees in Education and Engineering, and wanted to make a system of modular connectors that could be used to build quickly and easily, creating fully functional technological models. The aim of Engino is to inspire children to become better problem solvers and future innovators, a message I wholeheartedly agree with... 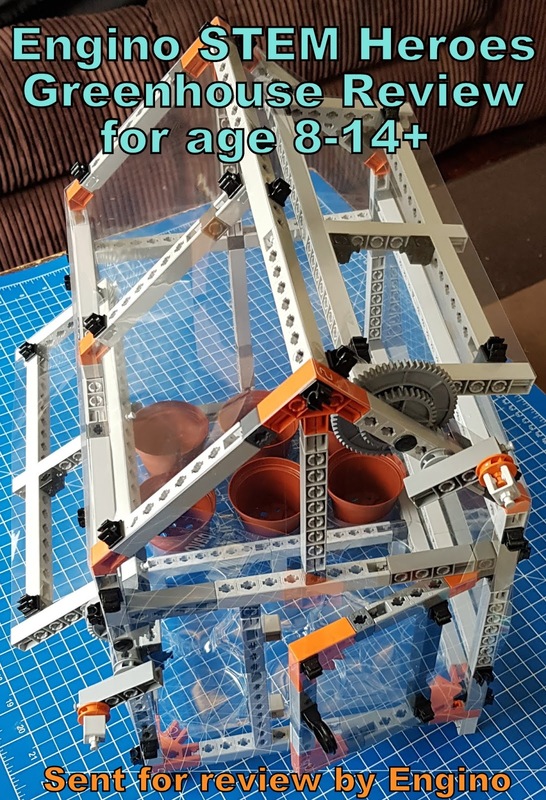 Teach your children to build and programme robots, not be one. The Greenhouse itself arrives in a surprisingly small box and there is minimal packaging. 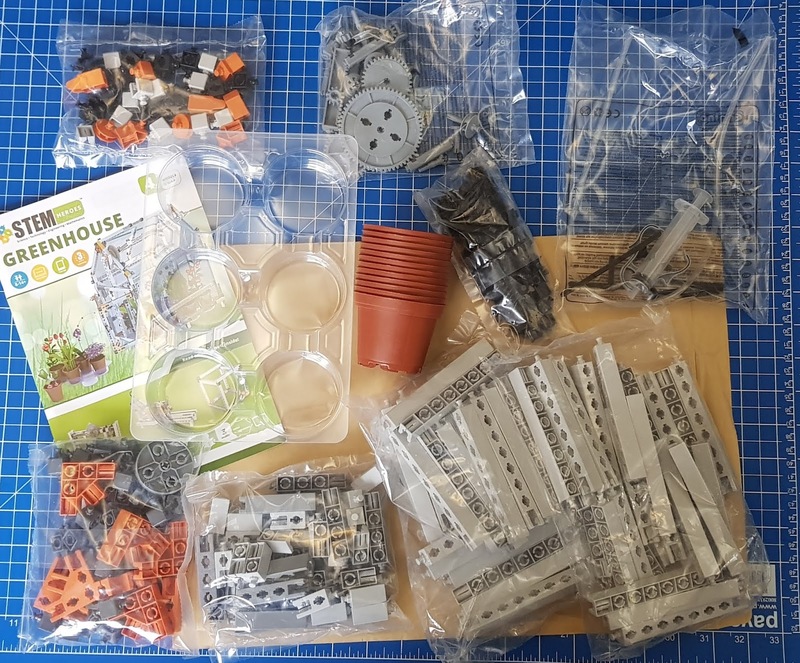 You can open and start building immediately, so this one is definitely Christmas morning-friendly. The STEM Heroes series builds children's STEM (Science, Technology, Engineering and Maths) understanding through play. 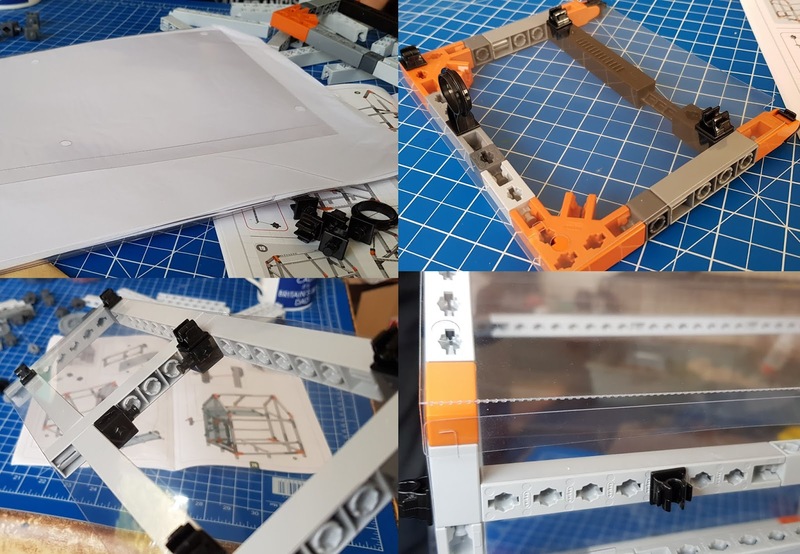 Included in the Instruction Booklet are the theory behind the set and experimental activities. I found the instructions a little difficult to follow, mainly because I'm not familiar with the elements and kept forgetting how very different it is to other construction materials. I put no end of parts on upside down! There is the option of 3D instructions online and my boys both prefer these. Online you can also find more theory and experiments to give you added inspiration with your greenhouse. 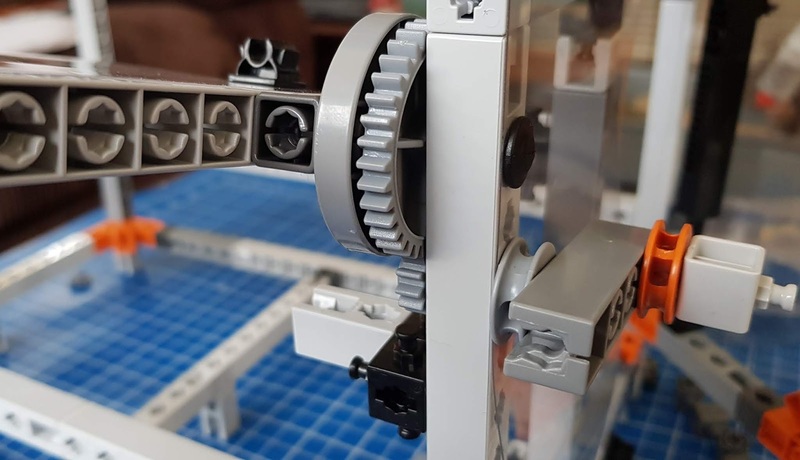 The design of Engino means that parts can be connected directly together in any different direction, so there is much less need for any sort of connectors or small elements. You actually need only about half the elements you'd need with some other construction sets. It's less likely to get lost and much quicker to construct. The glazing is what makes the Greenhouse work and in your box are lots of shaped sheets of plastic with punched holes for the clips. 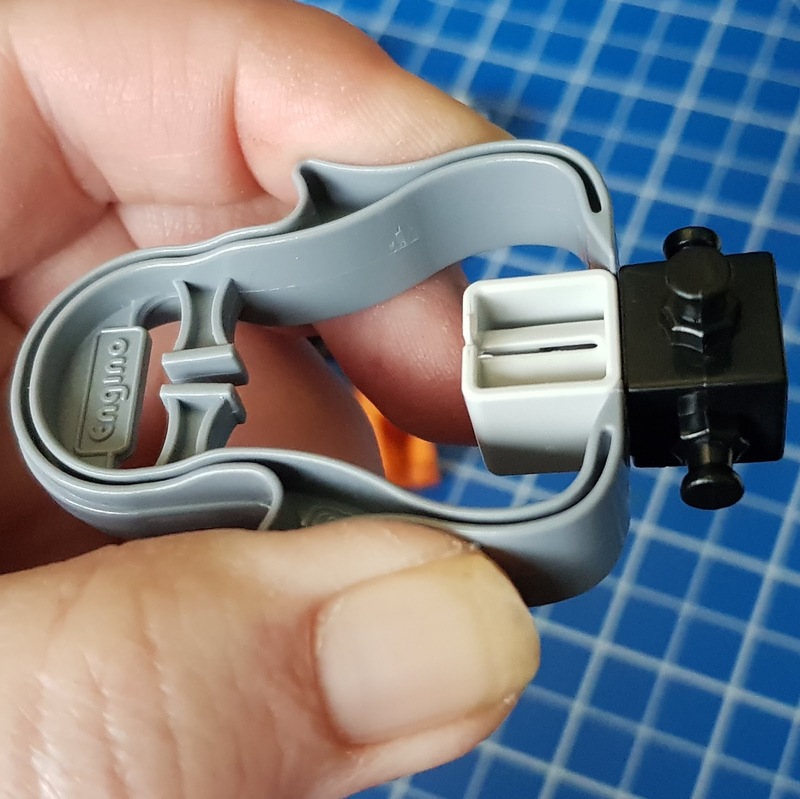 It's a very quick system and gives a pretty snug fit. The Greenhouse took about 2 hours to construct and we found 2 slightly mis-moulded parts, but were still able to incorporate them. We did also have a single hole punched in the wrong place. There are replacements and spare parts available if you need them and your model has a 3 year warranty against manufacturer defects. I'm very pleased with the build time. It was a far quicker build than anticipated and only actually frustrating because of my own obvious errors! The finished model is gorgeous. A beautiful greenhouse with an opening door which is large enough for a grown up arm and 2 large opening windows for heat regulation and natural ventilation. 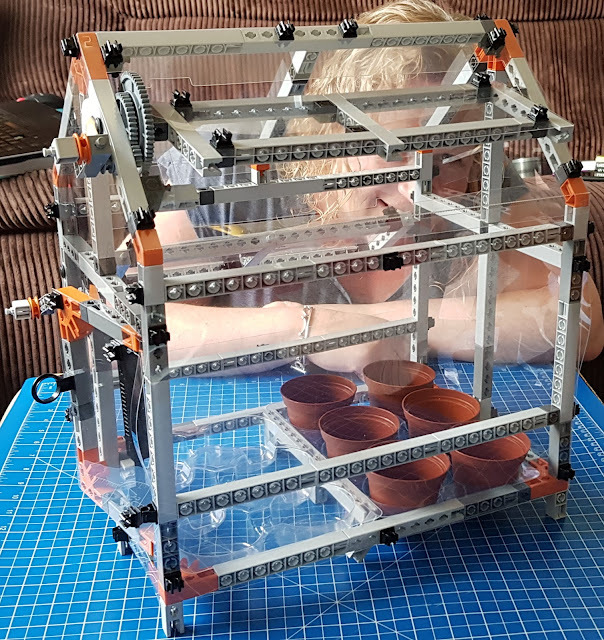 It's an excellent size and despite only weighing 1 1/2kg your Engino Greenhouse is really strong and sturdy, and big! 49 x 37cm x 69cm. 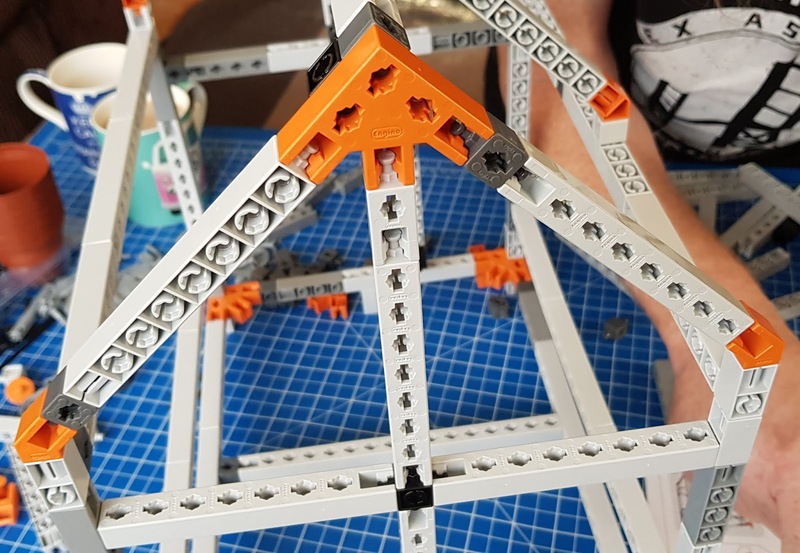 Engino STEM Heroes toys make the most of STEM learning to go beyond the build and test. These are working models which can continue to teach your child in use. My Greenhouse is a real working greenhouse and we WILL be growing plants from seed inside it. It doesn't even finish there. 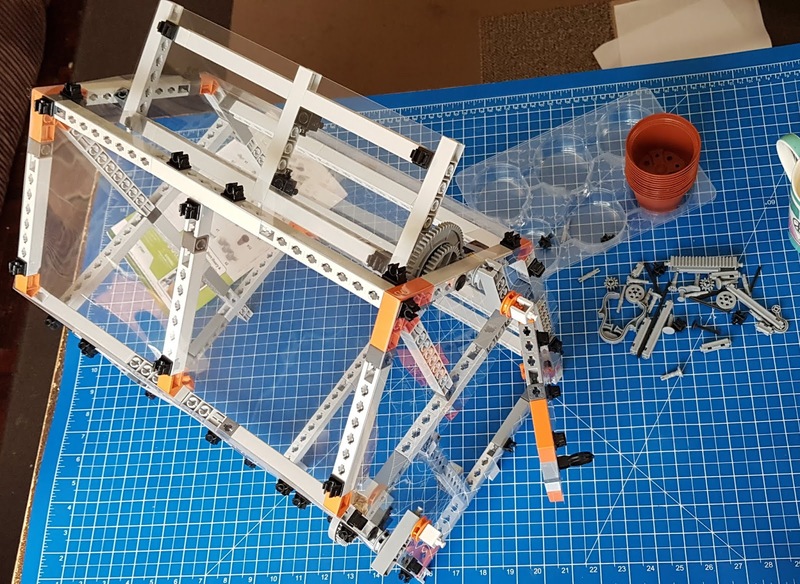 Like other construction systems there are alternate builds, including a gearbox, and you can always take the elements and build whatever you want. 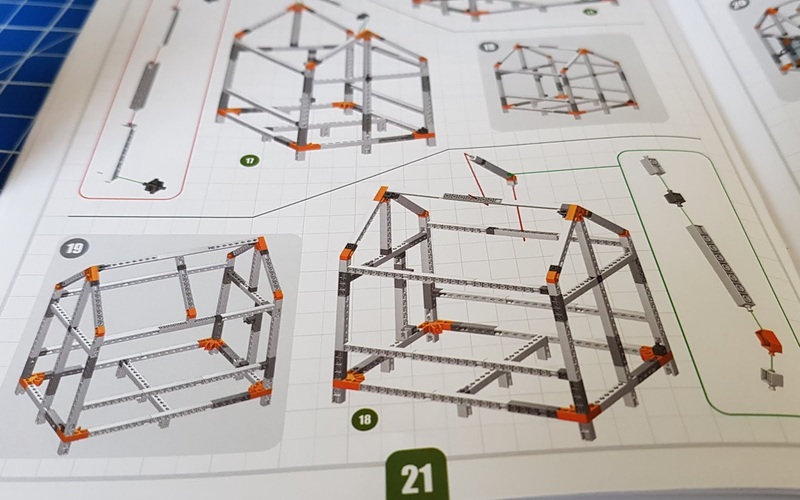 Find out more about the Engino range, find 3D instructions and alternative builds, plus how Engino can help your child develop, on the Engino Website. Engino Toys are new to the UK, but available now, including online from Amazon (*aff). Prices vary across the range, but our STEM Heroes Greenhouse has an rrp of £89.99, which we think is very fair. 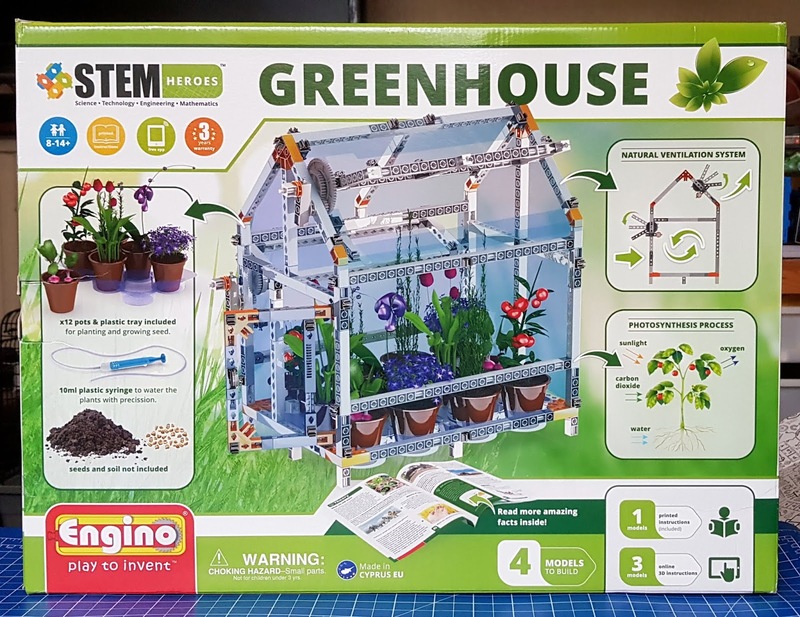 We were sent our Engino STEM Heroes Greenhouse for review. We have let the kids play with it. *Amazon links are affiliate, in hopes I can support my new love for Engino, or maybe just feed the cat. I earn a few pence when you order through my link, but you don't pay any more. It helps keep the website running. Oh that looks amazing. Can I add one to my Christmas list?